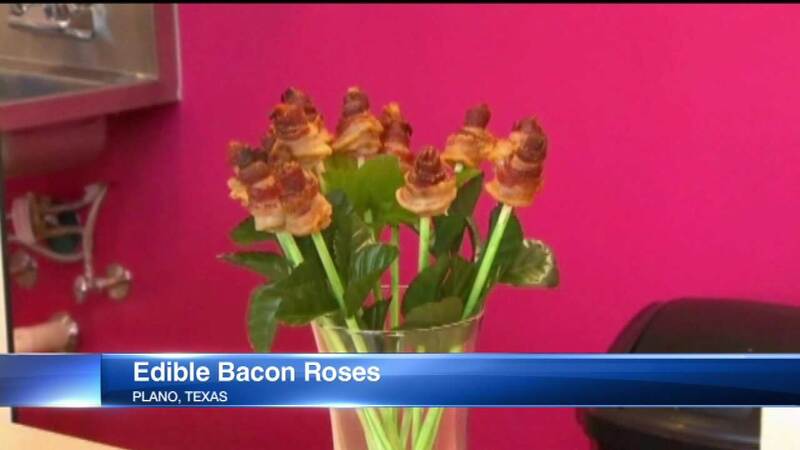 A creative Texas bakery has combined two of life's pleasures: roses and bacon. It's created roses that are made of bacon. The baker behind this little phenomenon says it's a big hit with customers. The stem is wooden. The bacon is real and delicious. But it didn't happen without some work. The bacon roses can be delivered in a vacuum-sealed package and can last up to 2 weeks. But we're doubting they'll last two hours.